A 21-YEAR-OLD man has been arrested and charged with a string of offences after police allegedly found a chilling collection of child abuse material on his mobile phone. 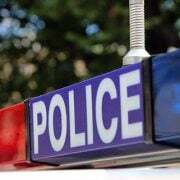 Police said they began investigating the Taree man after being alerted to his online activities in December. Following an extensive investigation, detectives arrested the 21-year-old at a business in Taree on Tuesday before executing a search warrant at his home on Short Street. During the search, officers allegedly found multiple NSW Police items, including a leather jacket, insignia badges, handcuffs and a replica pistol. The most disturbing discovery, however, came as detectives began looking through the man’s phone. It’s alleged officers found “hundreds of items of alleged child abuse material” on the device. 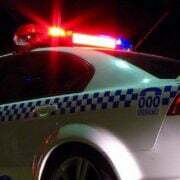 The 21-year-old was taken to Taree Police Station where he was charged with using a carriage service to access child abuse material, and two counts of possessing such material. 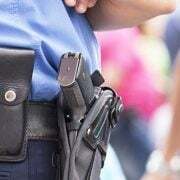 He was also charged with a number of offences relating to the NSW Police items, including possessing a prohibited weapon and an unauthorised firearm. Initially released on conditional bail, the man was re-arrested on Thursday after police allegedly uncovered further disturbing images and videos on his phone. The 21-year-old was further charged with making child abuse material with a child under 14, and again with a child over 14, and was refused bail to appear in Forster Local Court today.